In the field of agricultural, it is a trend of using intelligent machinery instead of manual work. Henan Mine(Kuangshan) has outstanding performance in the lifting industry, and is the first to introduce intelligent lifting machinery into the field of agricultural industrial transportation. Shandong Jinxiang, The famous "Hometown of Garlic" in the country. The cultivation of garlic has a long history. The planting area is about 700,000 mu per year, ranking first in the country (city) , with a total output of more than 800,000 tons. 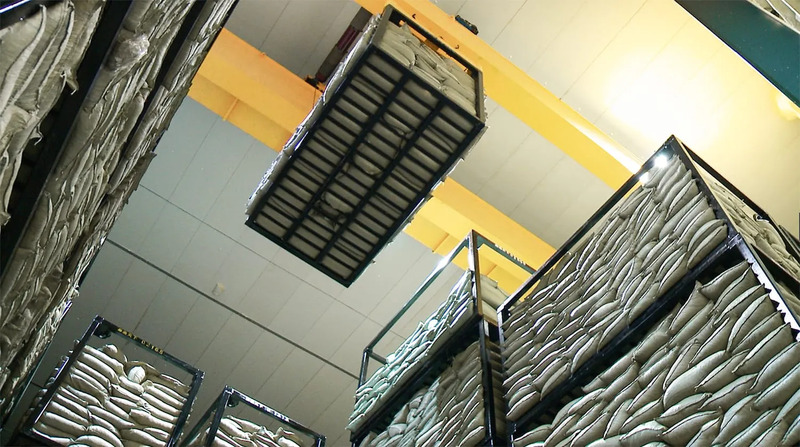 In the warehouse, workshop, quality inspectors, porters and workers between the "Garlic Mountain" . Garlic's unique pungent odor is unpleasant and unpleasant, making the environment harsh, and storage and handling workers must wear oxygen masks for continuous long-term work. 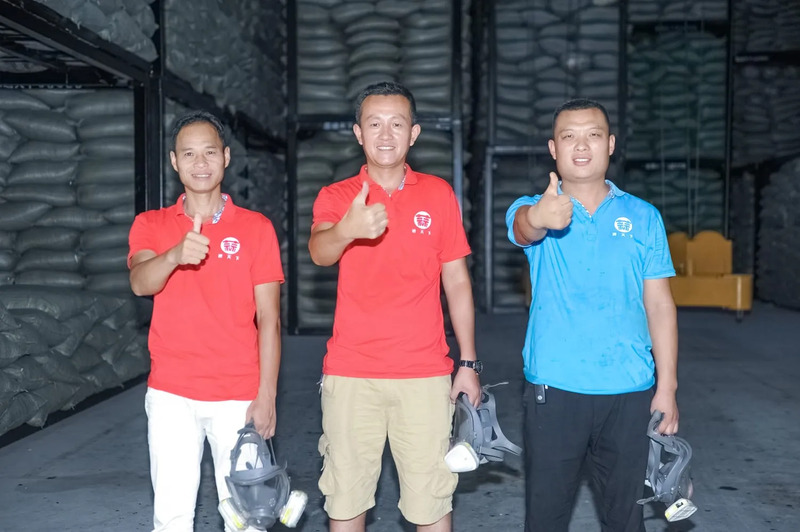 Through long-term attention to agriculture, Henan mines have a deep understanding of the storage methods of the garlic industry and found that there is a great room for improvement in storage methods and land utilization. 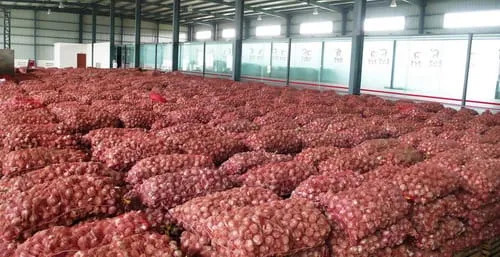 According to the actual investigation, Henan Mine proposed a new garlic storage program, which was quickly recognized by many local garlic-growing enterprises. The new storage scheme changed the original small basket storage process, and the finished garlic was stored in a special large basket, and a special large basket lifting spreader was designed. The large basket code was automatically recognized by the intelligent crane, and the automatic stacking and automatic delivery were performed. Completely replace artificial stacking. This program has received high attention and support from local governments and garlic companies. 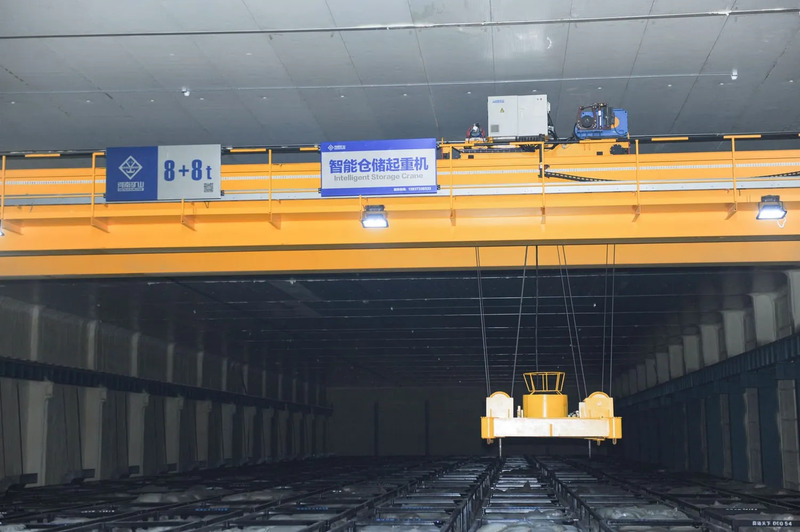 In 2018, Henan Mine was designed and manufactured by Shandong Lingdong Electronic Technology Co. , Ltd. “Garlic Pass World” industrial park unmanned cold storage storage project (8+8) t intelligent storage crane, officially put into use. 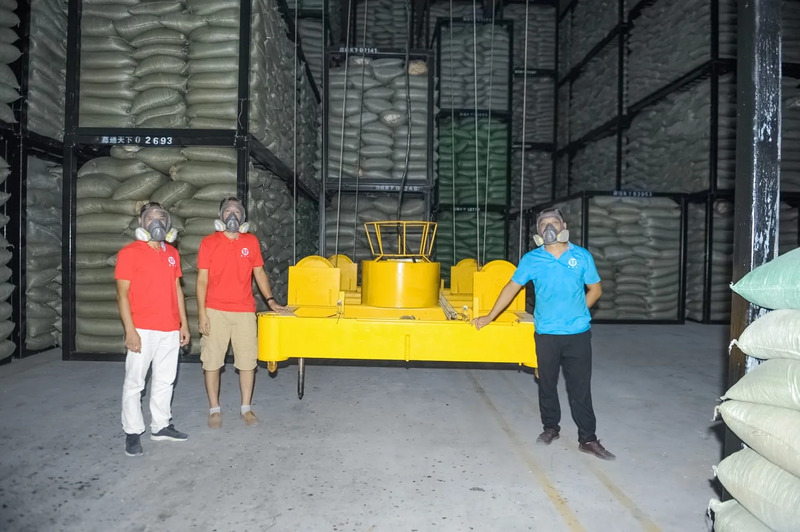 The crane is the first automatic storage crane used in agriculture in China. The crane has large span, long running distance, high lifting height, fast running speed, stable operation without fluctuation, and many positioning points (more than 1,400 high-precision positioning points) . The precision is high ≤±5mm (the spreader) and the stack 4 is over 5 and so on. 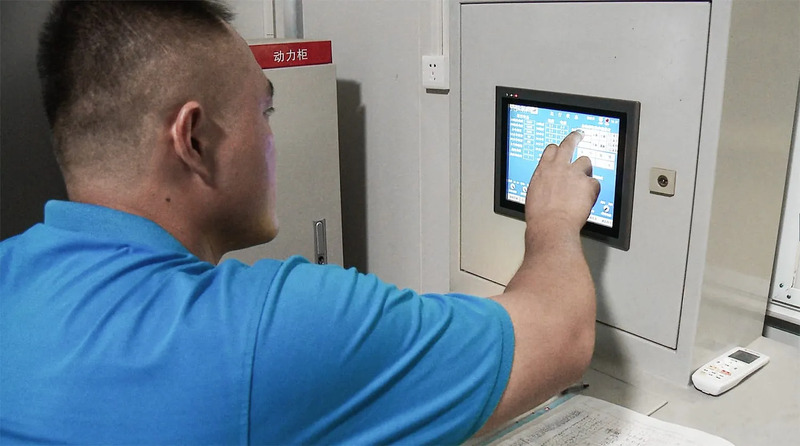 The manual (remote control) + semi-automatic + fully automatic control system is used to realize the docking with the database in the background, and the smart terminal is connected to each other, and the state of the stored goods can be monitored in real time. The machine also uses automatic spreader pick and place and palletizing, automatic positioning, electrical anti-shake, remote monitoring, intelligent management and other functions. Make high-density storage possible, greatly improve land utilization and save space. 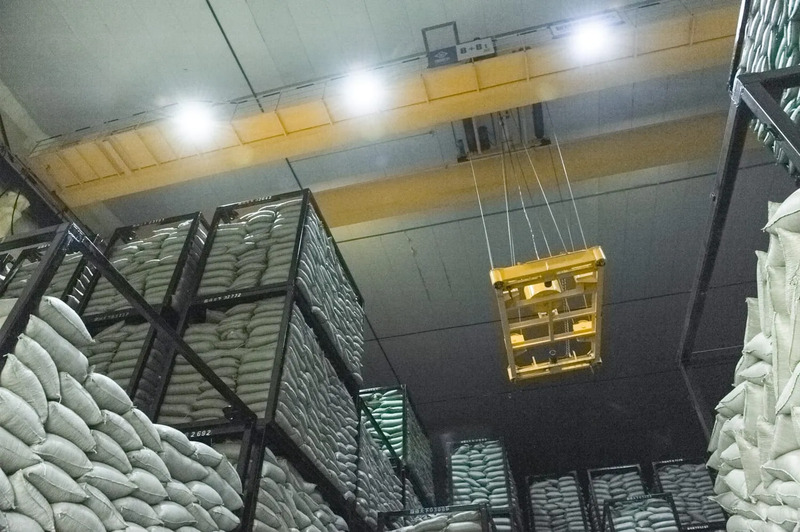 Due to the use of intelligent storage cranes, the utilization rate per unit area of the cold storage is greatly improved. 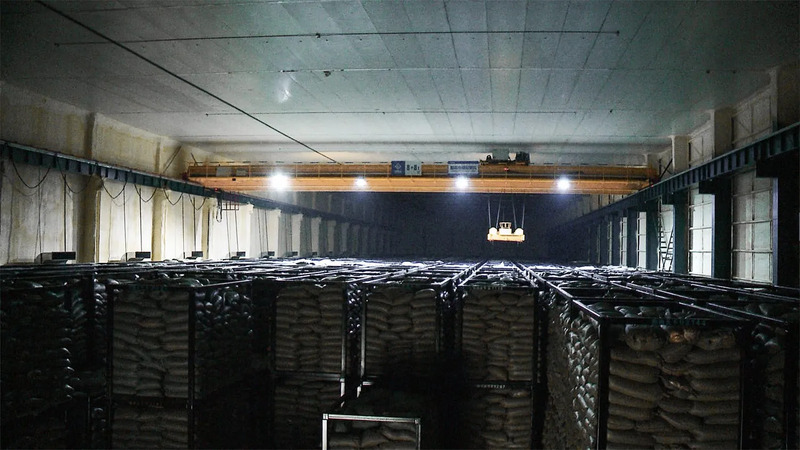 For example, its single cold storage capacity is 60,000 tons, which is 10 times the storage efficiency of conventional cold storage according to the calculation of land use efficiency. Using computer technology to track information, location storage, loading optimization and positioning operations on large baskets, 24 hours of uninterrupted operation, reducing downtime; real-time information tracking of unmanned driving, ensuring consistent information Accuracy; through the precise positioning and anti-shake technology, the manual lifting loss of the large basket is reduced. Save money. The cost savings are comprehensive. The first is the electricity bill. The more concentrated the general cooling space, the less the external heat exchange per unit space, so the power is saved. Secondly, the standardized business process operation assisted by the system greatly reduces the number of personnel on the service node. 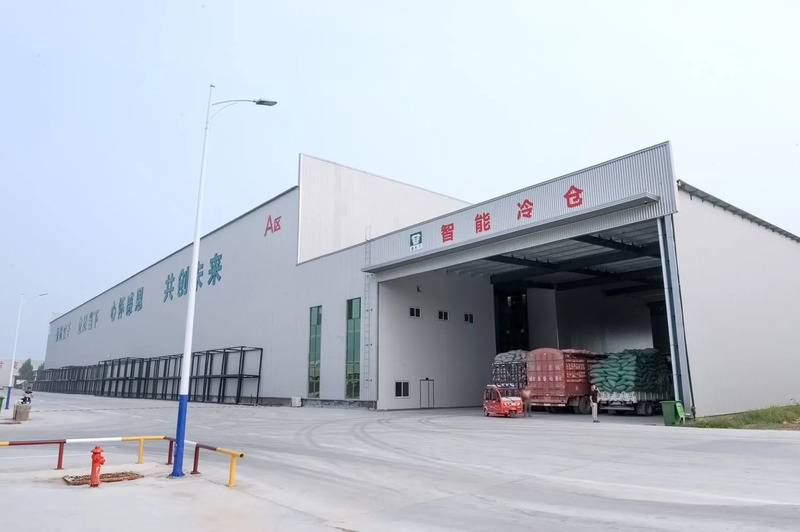 Therefore, the provincial people; in addition, the highly coordinated cooperation makes the time for warehousing and storage greatly shortened, so saving time, the above three points will reduce the storage comprehensive cost by 60%. Freedom of productivity. Since the entire warehouse is fully intelligent, the degree of automation is greatly improved. In the past, a factory building required to be inbound and out of the library, such as twenty or thirty people with strong physical strength and poor environment, and wearing cotton coats and masks with gas masks to work. Now, only two people are enough, and each loading and unloading of a large car takes only 5 minutes, which is 100 times that of conventional manual loading and unloading. With the deep integration of artificial intelligence, intelligent manufacturing and agriculture, agriculture is no longer purely “agriculture”, and the comprehensive competitiveness of agricultural enterprises in China and the world will usher in an explosive increase. 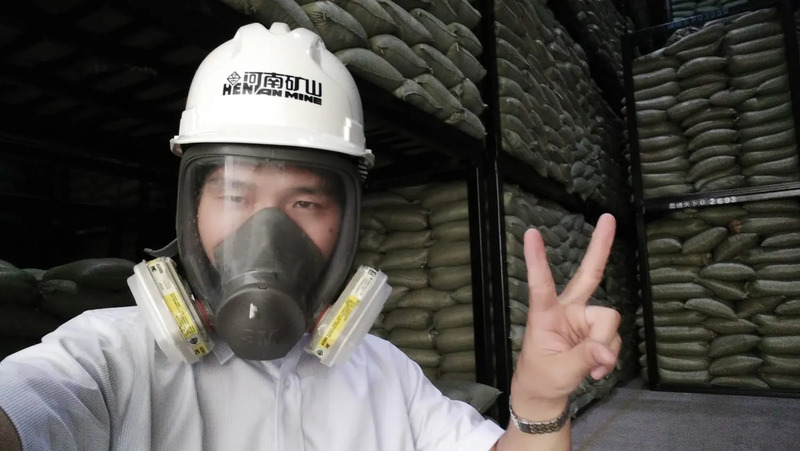 As a practitioner of “Made in China 2025”, Henan Mine will actively respond to the call of the country for the benefit of agriculture, industrial manufacturing, energy conservation and environmental protection, build a bridge connecting industry and agriculture, and add momentum to the development of modern agriculture.